Ugliness more beautiful than any beauty. Though despite my diverse aspect, I am one. Diverse things just as they are. With the secret of new art. 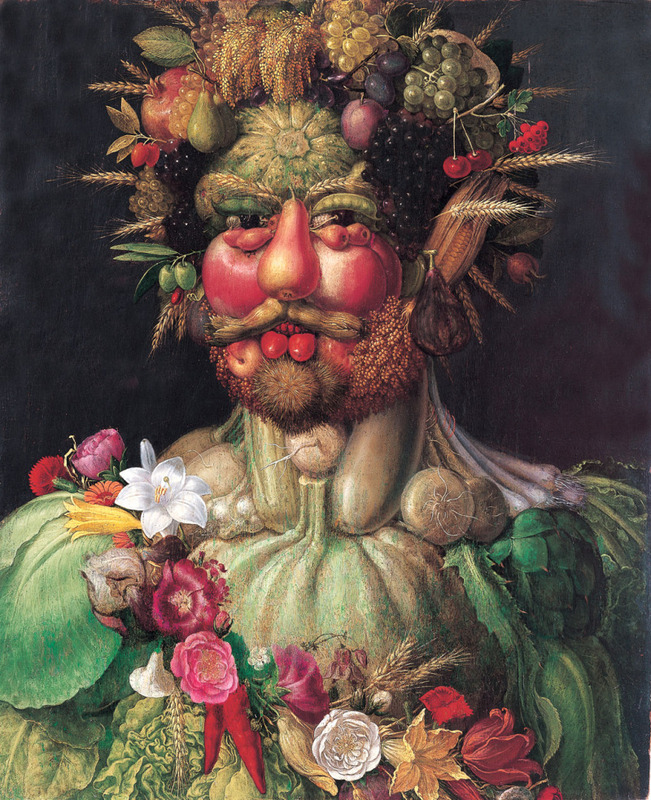 Excerpt from Don Gregorio Comanini’s poem on the Giuseppe Arcimboldo painting of Emperor Rudolf II as Vertumnus, the Roman god of vegitationa and transformation. The portrait was a gift to the emperor after Acrimboldo left Prague to return to his native Milan in 1587.